Ambling through the French Quarter, plastic cup (filled with champagne-spiked juice) in hand, a trio of musicians play their instruments loud and proud as passersby begin to dance; the mid-morning air is comfortably cool, and every building I pass is splashed in a carnival of colors—each one livelier than the last. This is NOLA, where the music, the food and the culture are “big” and the vibes definitely “easy.” The blend of European traditions and Caribbean influences—reflected in the mish-mash of architectural styles, French and Spanish street names, and stick-to-your-ribs food that’s soulful, hearty and downright delicious—make this Southern slice of the states a cocktail of flavors, sights and sounds. For first-time visitors, sensory overload isn’t uncommon; with so much to see, do, eat and drink, even the smallest of decisions may prove difficult. 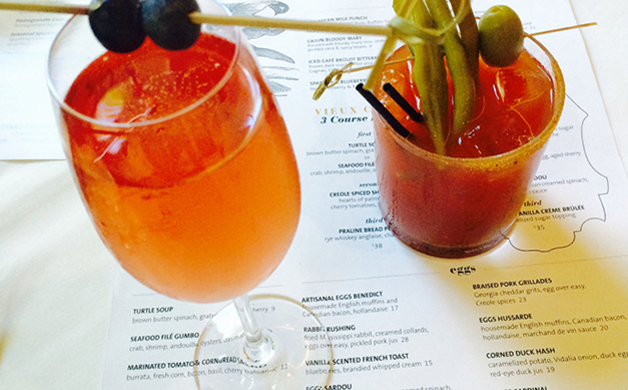 Thankfully, my picks below cover the basics, and then some, of how to fill your days (and bellies) to the brim. 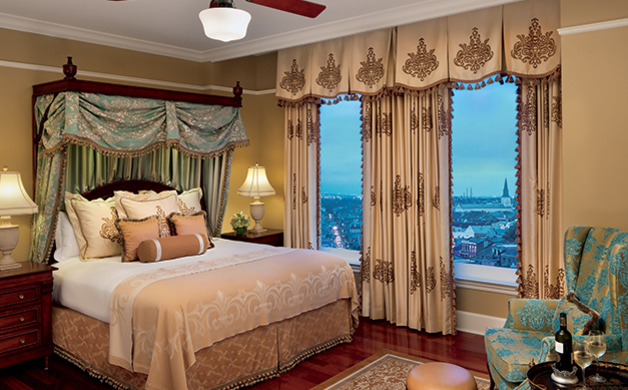 1 / Sleep in the lap of luxury at The Ritz-Carlton, New Orleans, a four-star property that’s sited in a 1908 historic building and located steps from N’awlins’ most notable neighborhoods. Boasting the largest spa in the city, high-ceilinged rooms that are plush without being pretentious, and a regal antebellum atmosphere, peeling yourself away from the premises is the only pitfall. A “Club Level” upgrade means complimentary culinary offerings and beverages morning, noon and night, along with personal concierge service—all in relaxed lounge environs. Trust me: After a long day of sightseeing, you’ll definitely want to be puttin’ on (and staying at) The Ritz. 3 / Slightly off the main drag but within walking distance (or an easy streetcar ride), Frenchmen Street—Bourbon Street’s classier, less boozy cousin—is full of live music venues that range from traditional jazz and blues to reggae and rock (don’t miss tapping your toes at The Spotted Cat Music Club), restaurants aplenty and the Frenchmen Art Market, a pop-up evening street fair where you’re sure to snag a souvenir and plenty of Instagram-worthy pics. Although the two-block cultural hub marches to a different beat, it, literally, rocks. 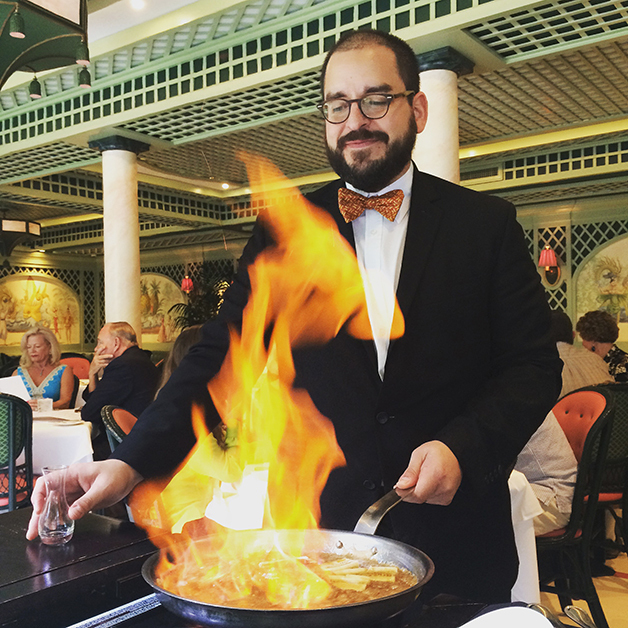 4 / Founded in 1918, Arnaud’s is one of New Orlean’s largest restaurants. Serving real Creole food—the kind with plenty of butter and spice—in three dining rooms, eating here is truly an experience. 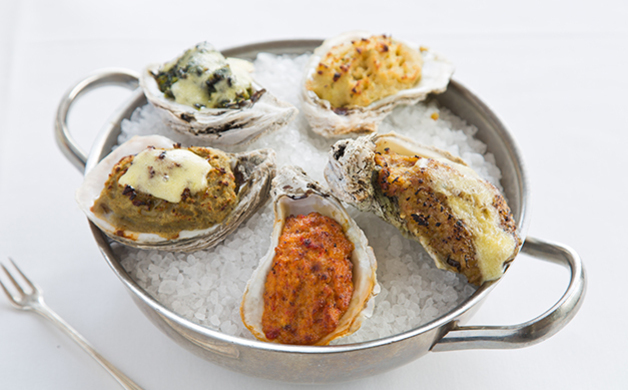 Dig into the light-as-air, perfectly puffy fried soufflé potatoes (best dunked in the accompanying tarragon-infused béarnaise) before ordering the baked Oysters Arnaud, veal with mushroom risotto and—for a true show-stopping finale—Café Brulot (a flaming coffee cocktail that’s prepared tableside). Not only does the supposedly haunted restaurant have a Mardi Gras museum that’s free to the public, but their meat is so tender they serve it sans steak knives! 5 / In a city that’s buzzing 24/7, it should come as no surprise that many famous cocktails were created here—from the Ramos Gin Fizz and Brandy Milk Punch to the Hurricane and Sazerac. 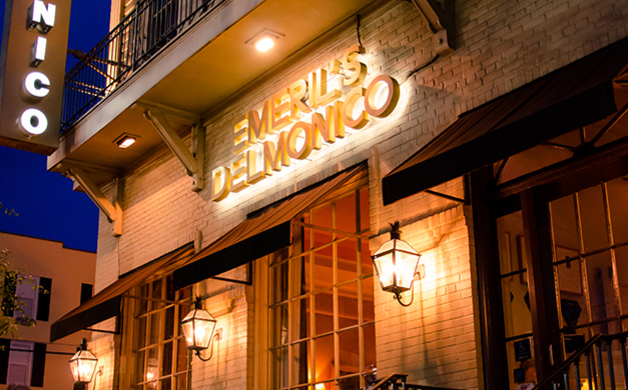 On the New Orleans’ Original Cocktail Tour, learn the history behind the concoctions and the characters that made them famous, as you crawl (and sip) between the city’s most famous watering holes and dining establishments, resulting in a spirited outing. 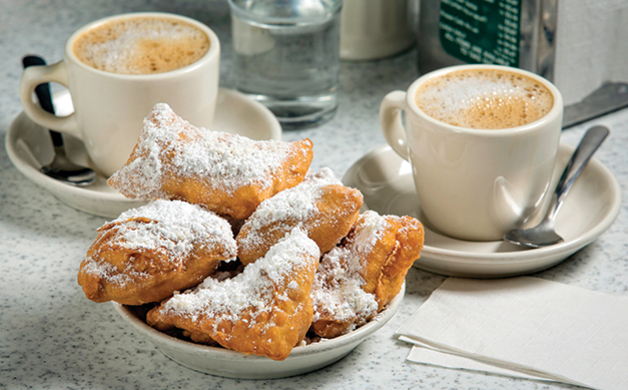 6 / Despite the long lines and constant throngs of tourists, Café du Monde makes any trip to the Big Easy slightly sweeter. Open 24 hours, seven days a week, ordering is as simple as saying “beignets and cafe au lait.” The ubiquitous fried French fritters are square, served three up and come showered with a generous dusting of powdered sugar, while the coffee is mixed with chicory root (an herbaceous, woody plant) and served black or “au lait” (with milk). Avoid the packed outdoor seating area by getting your order to go and chowing down across the street inside Jackson Square. 7 / Step off the Bourbon-beaten path and into a kayak for a Big Easy Bayou Tour with the folks at Kayak-Iti-Yat. As the sun dips down, paddle past West Indies-style architecture and Frank Lloyd Wright-inspired homes, while learning the history and significance of Bayou St. John. Tip: The tour starts near City Park, a 1,300-acre outdoor oasis that’s teeming with attractions, and is definitely worth exploring either pre- or post- adventure. The Spotted Cat Music Club photo by Chris Granger. The Ritz-Carlton photo courtesy of The Ritz-Carlton. Brennan’s photo by Megan Wiskus.Brennan’s photo by Megan Wiskus. Above-Ground Tombs photo by Christopher Lim. 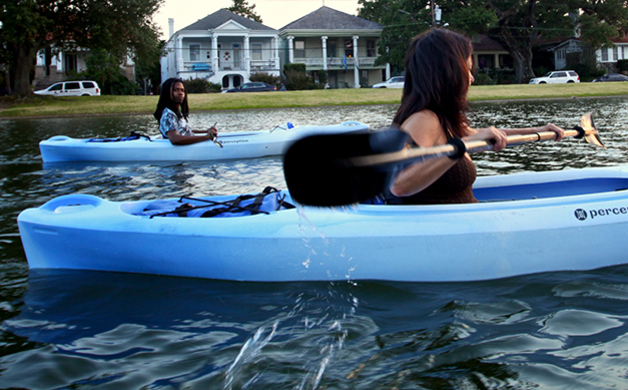 Paddling Bayou St. John photo by Matthew White. All other photos courtesy of their respective companies.